The Beauty of Books (Scottish-style) « To Posterity -- And Beyond! 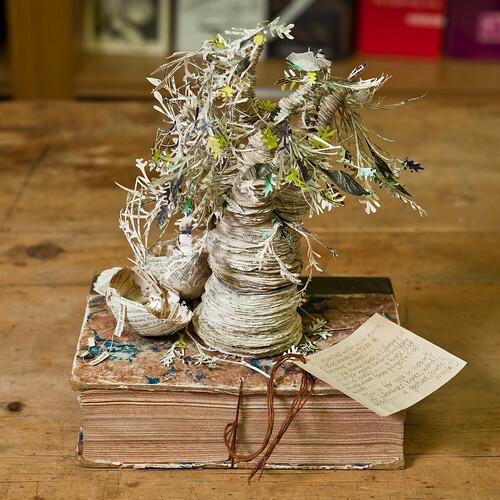 In Scotland, an inspired artist has been creating wonderful paper sculptures since March, as presents for libraries, cinemas, storytelling centres, and at the Edinburgh Book Festival. It’s all a bit wonderful — well worth a read through this well-illustrated, frequently-updated blog-post, at this point on the internet. I would advise not clicking through to the final news story about the possible identity of the sculptor, as in my opinion, this is much better left a mystery.